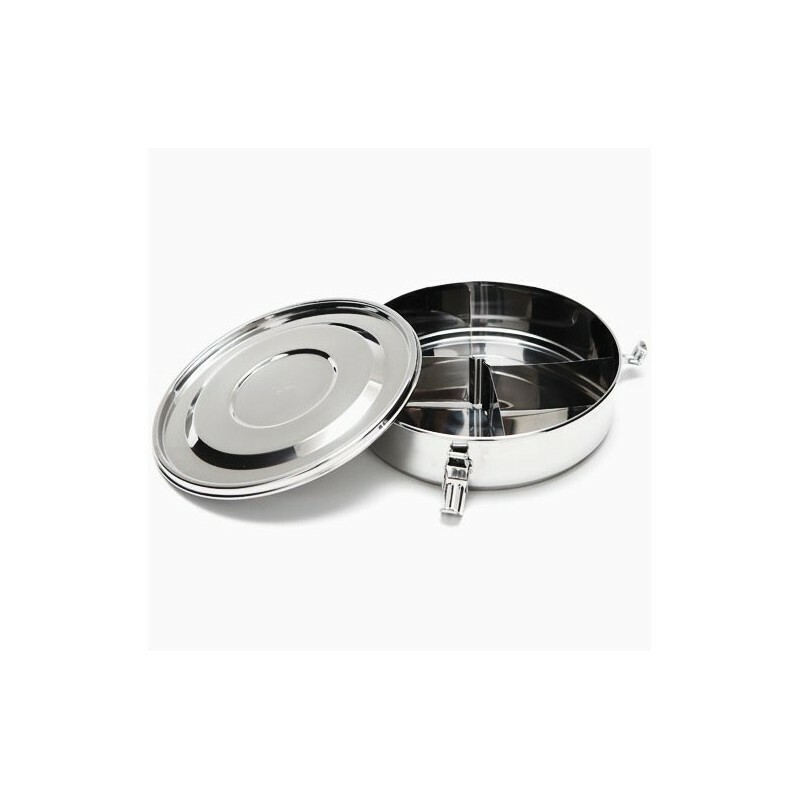 Onyx stainless steel containers are airtight and made from the highest quality, food grade 18/10 stainless steel. 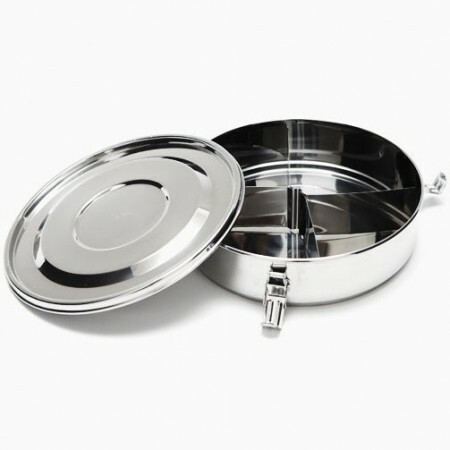 Freezer safe, oven safe (without lid) and BPA free. Includes 2 removeable dividers for versatile storage & serving. 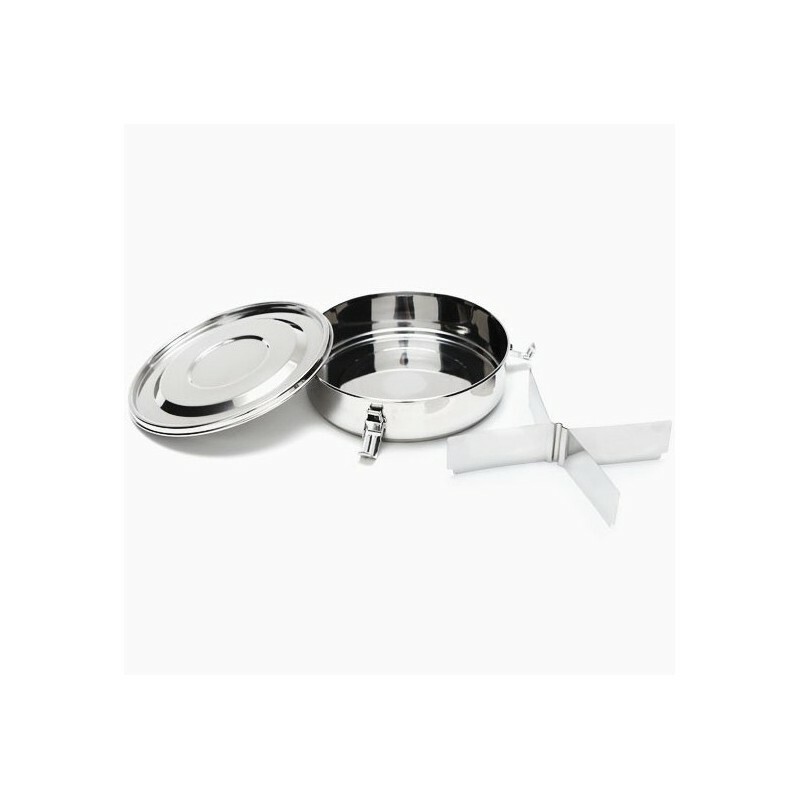 This versatile container is excellent for packing a healthy, waste free lunch or home food storage. It has a silicone seal in the lid to make it completely airtight for freshness and 2 removeable dividers. The whole container is freezer safe, and the bottom section is also oven safe (without lid). 19cm W x 5.5cm H. All measurements are approximate. This has been my most-used stainless container. Because it's a thinner depth and leak-proof (godsend), I've been able to have it on its side in my bag without issue. Tip: it fits the PlanetBox Tank Snack Container perfectly if you want to compartmentalise another leak-proof smaller container. Together they've become my travel kit. I love that this is stainless steel and leakproof. The dividers can be taken out or I can just use one of them depending on what I am packing for lunch that day. I have also started including an extra one in my zero waste bag for takeouts and leftovers after a meal out. Perform the size for lunches. THe only part I don't put into the dishwasher is the lid due to the rubber seal.